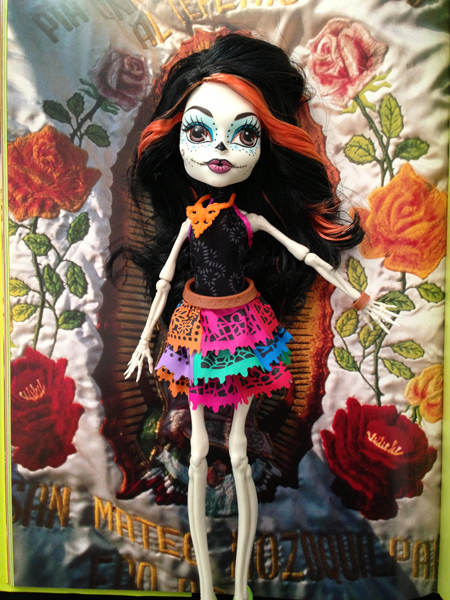 Isn't she beautiful, SKELITA CALAVERAS, my MONSTER HIGH Dia de los Muertos doll. My small thinks she is gross and was none to happy too introduce her to the rest of the gang. 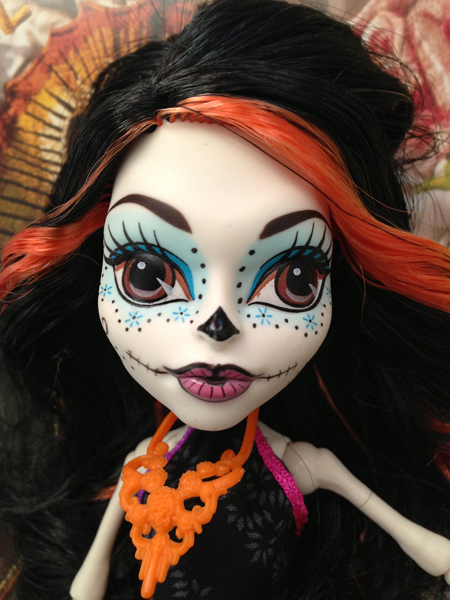 Luckily her special doll JINAFIRE LONG, daughter of the Chinese dragon, arrived at the same time.